Senior Advocate and former president of Supreme Court Bar Association MN Krishnamani passed away. He breathed his last at Banglore today this morning. "Mr. MN Krishnamani, Senior Advocate was not only excellent in his personal pursuit but had lot of credence in the spiritual field. He was a devoted Sai Baba follower and had also authored several spiritual books.My Executive Committee and myself pray that Almighty should provide him adobe at his eternal feet", said SCBA President Rupinder Singh Suri in the obituary note. "He was one of most gentle persons you could come across and a good friend. His striking quality as well as spirituality have demonstrated a series of books on Saibaba.He was a lawyer of eminence and leader of bar who did not have hesitation to stand up to judges when they were at wrong side. It's is great loss to bar as well as to his multitude to friends"
"He was leading lawyer and a very much loved member and past President of SCBA. He was not only a spiritual man but also a great personal friend. SCBA lost a formidable member and pray for his soul to rest eternal peace". He was enrolled as a lawyer in 1971, in Madras. He has appeared in almost all the High Courts located in different States in India. He received the "National Law Day Award" for Excellence in Civil Law in 1998. He was given the prestigious "Seva-Ratna Award" by the Centenarian Trust in 2005. He was given "Secular India Harmony Award" in 2005. He was awarded "Sreshta Kala Pracharak Award" by Ganesh Natyalaya and Gayatri Fine Arts Society in 2009. 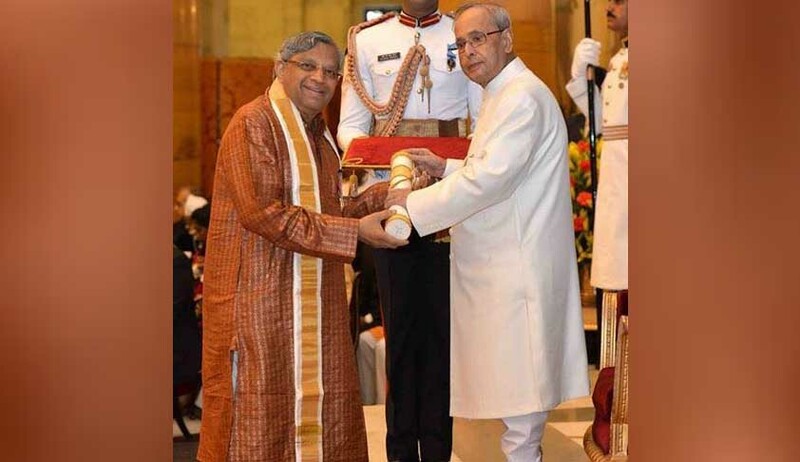 He was awarded Padma Shri in the field of Public Affairs by Government of India in the year 2016.